Call us for passionate, high-quality paralegal support for all your eviction law needs! Tip the scales of justice back in your favor! Los Angeles Paralegal Eviction Services. The eviction process can be a frustrating and scary time. While tenants do have certain rights when it comes to eviction processes, it’s still frustrating for a landlord who wants his or her property back. Filing the right paperwork early on is a critical part of making the process go as quickly and smoothly as possible. You can trust our paralegal services to help make sure you get the wheels of justice spinning in your favor. You’ll find our professionals are more than happy to provide you with all the affordable eviction assistance we can for the Los Angeles area. We will help you prepare, present, and file the proper eviction documents to the court. Los Angeles Paralegals helps you make sure every single detail is correct to keep things running smoothly. You don’t want to suffer the frustrations that can come up with the eviction process. Let our paralegal help you with your eviction services every step of the way to get you your property back! Our Unlawful Detainer/Eviction Package is $379.00 + court expenses. Not each eviction case is as straightforward as it appears, there are things that could happen amid your case to draw out it. Nonetheless, California Legal Pros is prepared and arranged to handle any of the accompanying conceivable events. A Demurrer is a sort of answer that a Tenant could document in light of the Unlawful Detainer case. It is utilized when a Tenant is not contending the actualities of the Complaint but rather that those truths are lacking to deliver an Unlawful Detainer case. In the event that this happens, one of our lawyers will set a hearing to get this settled. The lawyer would plan for your listening ability and speak to you amid the hearing to get the Demurrer rejected so your case can proceed. Lawyer expenses would apply. A Motion to Stay is documented by the Tenant when they trust they have not been sufficiently given time to move out or are guaranteeing a hardship in finding another spot to live. In the event that this happens, one of our lawyers will speak to you at the listening to the court sets to get this Motion to Stay rejected. Lawyer expenses would apply. In the event that your Tenant is deliberately maintaining a strategic distance from administration, after three endeavors we would need to ask for a Posting Order from the Court. This would permit us to serve the Tenant by posting the archive at the property and mailing a second duplicate. This gives the Tenant 15 days to react with a response to the Court. The expense for this administration is $200. Our legitimate group will set up the important archives required and record with the Court to ask for the Posting Order. When we have gotten that Order from the Court, we will serve the Tenant by posting and mailing. We will set up the judgment and writ of ownership, record with the court, and document with the Sheriff to sort out the lockout. Our charge for this administration is $399 and incorporates the extra court documenting expense and Sheriff’s charge. We should set up the Judgment and Writ of Possession and record them with the court. Each County charges for these filings. We will then need to take your Writ of Possession to the Sheriff’s Department to compose the lockout. Each County Sheriff’s Department will charge for this administration. On the off chance that you require us to facilitate and procure a locksmith to be available for your lockout we offer that administration at the rate of $250.00/per 2 locks. Keeping in mind the end goal to get a judgment to recoup the rent and expenses you have caused amid this procedure, we can set up a financial judgment for a judge to choose whether to recompense you the unpaid lease and expenses. Once the financial judgment is gotten, we should finish a writ of execution and document it with the court. We charge an expense of $299 for this fiscal judgment administration. On the off chance that your landowner instructs you to move, it doesn’t mean you need to. Evictions must take after particular lawful techniques and a court hearing before you can be compelled to move. If it’s not too much trouble Note – In numerous urban areas, for example, in Los Angeles County instantly toward the west of us here in the OC, some “no deficiency” removals oblige landowners to pay movement advantages and confine regardless of whether a proprietor can raise the rent on another occupant or tenant the unit into a townhouse. Inhabitants who move in light of the fact that the proprietor instructs them to — without making the landowner really issue an eviction notice—permit the landowner to sidestep re-rental and townhouse change confinements, and critical money migration advantages that you may be qualified for. Likewise – Just on the grounds that a landowner is may offer a property, or just purchased the property, is not ground for eviction (regardless of the possibility that it’s an abandonment). Keep in mind – Tenants are removed all the time by ravenous landowners looking to raise rents. On the off chance that you are confronting an unfair removal, battle back – in many cases you can win! To what extent Does an Eviction Take? On the off chance that proprietor wins, sheriff posts last removal notice and evict occupants at end of that notice period. When you lease a house or a condo, you have legitimate ownership until you either surrender ownership or the landowner gets a court request for recovering ownership. You have the privilege to convey your case to a jury. In the event that you win, you get the chance to remain. On the off chance that you lose, just the sheriff has the privilege to evacuate you. You have every one of these rights regardless of the fact that you are behind in your rent. Your landowner can not put you out or put your possessions in the city or turn off your utilities. This is an infringement of California Civil Code Section 789.3 and the proprietor is subject for $100 a day in punishments. The lawful eviction procedure is long and confounded. Along the path there are numerous potential outcomes for transactions and approaches to make the law work to support you. Contact Los Angeles Paralegals at (818) 287-2868 to arrange your technique. 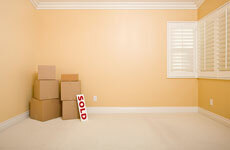 A removal starts with a 3-Day, a 30-Day, or a 60-day notice. By and large, 3-Day Notices are given for “treatable” removals (e.g., “pay the rent in 3-days or be ousted”). 30-Day Notices are for occupants who have lived in their units not exactly a year and 60-Day Notices are for over a year. Then again, 30 or 60-Day Notices are considered “non-treatable:” (e.g., “I will move into your rental home or flat”). You don’t as a matter of course need to leave your home or loft before the end of this notice and your landowner can’t throw you out. In the event that you haven’t moved before the end of this period, at exactly that point can the landowner start the lawful removal process. On the off chance that you get a 3, 30, or 60-Day Notice Contact Legal Service Center to ask on the off chance that it’s a lawful notice and what you can do about it. 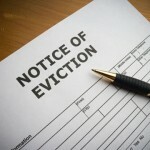 You MUST RESPOND to an Unlawful Detainer IN FIVE DAYS or you will lose your entitlement to a hearing on your eviction. The 5-days BEGIN the day after you get the Summons. Weekends and occasions consider days, however the 5-days can’t end on a weekend or occasion. In the event that you don’t react, you will naturally lose. Reacting to an Unlawful Detainer – You react to the Summons by presenting a specific court archive called an “Answer.” Your answer must recorded in a legitimate configuration; it must be typewritten and you should take after certain lawful techniques. It would be to your greatest advantage to enlist an equipped and experienced Eviction Specialist to answer the Unlawful Detainer Summons and Complaint. Velocity is basic. Since you just have 5-Days to reply, you require time for your lawyer to get up-to-rate on your circumstance and figure out what barriers may be legitimate for your special circumstance. In the event that one of our legal counselors is speaking to you in an Unlawful Detainer activity and we demand a jury trial, we will need to go to a “Settlement Conference.” This is the place we and the proprietor (or the landowner’s lawyer) will need to precede a judge and attempt to achieve a trade off settlement where we can frequently achieve a friendly plan. At this meeting, the judge endeavors to have you and your landowner settle the case without going to trial. Odds are great that your proprietor likely felt that recording the Unlawful Detainer would unnerve you into abandoning the property with no complain. Also, he likely didn’t generally need this to go this far – and will need this to “leave” as much as you by this point. This frequently moves the favorable position from the proprietor to the occupants who out of the blue react with a lawyer and demonstrate a little spine. We can regularly achieve an adequate settlement now. Keep in mind, be that as it may, we don’t need to settle your case at the settlement gathering; you have the privilege to have your day in court if your proprietor is rigid or in the event that we have a fantastic case and your landowner accidentally “ventured into a major wreckage” that may have him at a genuine detriment. Having Legal Service Center help you challenge your eviction claim can be extremely favorable. On the off chance that you have great lawful or procedural resistances and you need to stay in your home for all time, it will probably be certainly justified regardless of the time and exertion. When you go to court, your landowner, or his lawyer, will display his case to the jury and after that you, or your lawyer, will show your case. You will have the capacity to bring witnesses and present other proof, for example, reports from the Department of Building and Safety, Health Department, or different witnesses. On the off chance that the jury chooses to support you, you will get the chance to sit tight. On the off chance that they choose in the proprietor’s support, the judge will send the eviction request to the Sheriff. On the off chance that you don’t do anything; in the event that you neglect to answer an “Unlawful Detainer,” or lose in court, the Sheriff will get a court request. He will then come present a Notice on Vacate on your entryway. The notice gives you five days to leave and in the event that you don’t leave at that point, the sheriff will come and expel you. It’s best to leave by the fifth day and abstain from having your possessions put into custody. On the off chance that you can’t leave inside the five days, you can retreat to court and document a “Stay of Execution.” You should pay one week’s rent to the court and this will defer the eviction for one more week. To what extent Until I’m Evicted? On the off chance that you record an Answer – to the Unlawful Detainer Summons and Complaint, it will take no less than 4-6 weeks starting there before the Sheriff expels you. Now and then it can take any longer, particularly in the event that you have a decent case or in the event that you forcefully safeguard your eviction on legitimate and procedural grounds. On the off chance that you don’t record an Answer – to the Summons and Complaint, the Sheriff could expel you when a week or two. Lawful Service Center is here to help inhabitants, and is prepared to help you manage a removal notice or end of occupancy. We will utilize the law to help you secure your home and your inhabitants’ rights.